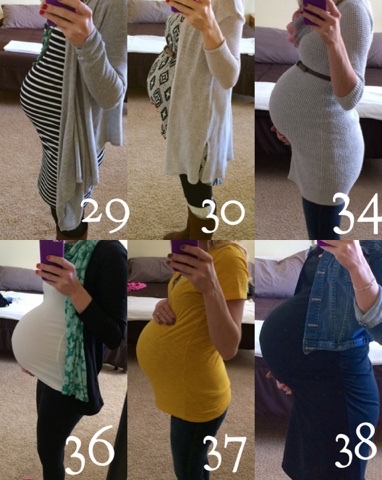 Today, I would have been posting my weekend wardrobe maternity outfits for my 40th week of pregnancy. Thank goodness I'm not doing that today. Instead I'm snuggled up with my little baby boy. I'm still recovering from my surgery, but I'm slowly getting better. I highly doubt I will be putting any cute outfits together anytime soon or going shopping for a while. I still need time for my body to heal and I need to get used to having a newborn in my life now. What I can do is to use this time to look back on my maternity style during my last three months of pregnancy and share some of my favorite looks that I wore. The third trimester was pretty rough, especially as it dragged on into the last 2 months. Finding cute outfits to dress my enormous bump was hard, but I didn't give up. It's not easy to have an extra 30 lbs of weight on you and still feel good about yourself, but the more I tried to put myself together, the better I felt. I really didn't buy too many maternity clothes, so finding clothes that fit me was a pretty big challenge. I mostly stuck to anything that would stretch over my belly, long tank tops worked out great and I still used my belly band a lot for wearing my normal jeans. 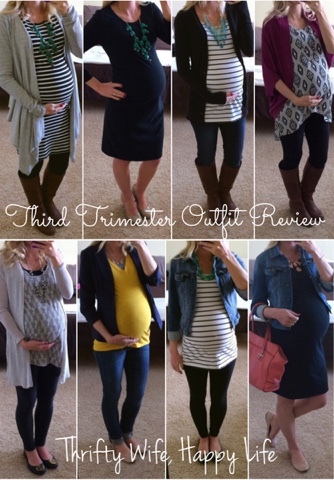 Here are some of my favorite outfits that I wore during the last 3 months of pregnancy. My bump went from big to huge in the last 3 months. Everyone wanted me to know that too. That was one thing that I didn't like during my last couple months. Everyone had to comment on how big I was. When I was in public by myself, people would often look at me as if I was going to go into labor right in front of them. It got to the point where I only wanted to travel outside of the house with Kevin. My third trimester baby bump growing. Over all my third trimester was filled with lots of ups and downs. Like most women, I was extremely uncomfortable throughout my entire last trimester. In the last couple months I could barely sleep at night and work was getting really hard. It's not easy trying to keep up with my energetic Pre K children all day. However, I do feel like I kept nice and busy during the third trimester, just trying to pass the time. We took a trip home to Michigan for Christmas and Kevin and I spent a lot of quality time together; going out together and organizing the house on our Saturday's off. The best part of my third trimester was that I got to meet my baby boy 10 days earlier than expected. 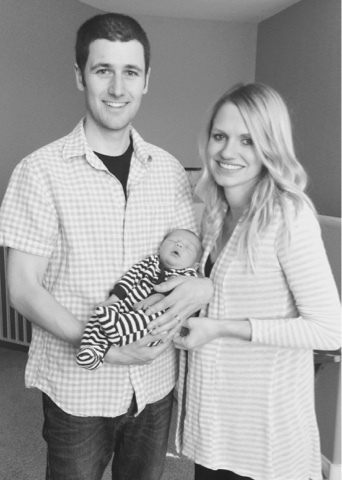 I was so relieved that I didn't have to worry about an over due baby. The doctor had wanted to induce me today if the baby hadn't been born yet. I'm so glad that didn't happen and he came naturally on his own. Now I have a very healthy little baby boy at home with me. My heart feels full.